By Louella Morton, Executive Director, TestReach. Republished with kind permission. For many, the word “assessment” translates into multiple choice questions or writing for hours in a crowded exam hall – it is something very defined and has a certain place in our education or career. The huge advancements in computer-based testing are now redefining the possibilities of assessment, particularly in terms of what can be tested, how and when. These advancements mean that there are many more applications for both summative and formative testing, applications that even a couple of years ago would not have been possible. Movement away from traditional assessment delivery methods. The end of the road for pen and paper. Much more engaging and effective assessment. Assessments are much more candidate centric. These trends have a wide-ranging impact on many different organisations, including corporations, professional membership bodies, educational institutes, training companies and government departments. The use of professional remote invigilation, which recreates the exam hall experience in an online environment, means there is a move away from the use of traditional assessment delivery methods, such as running exams in a test centre. 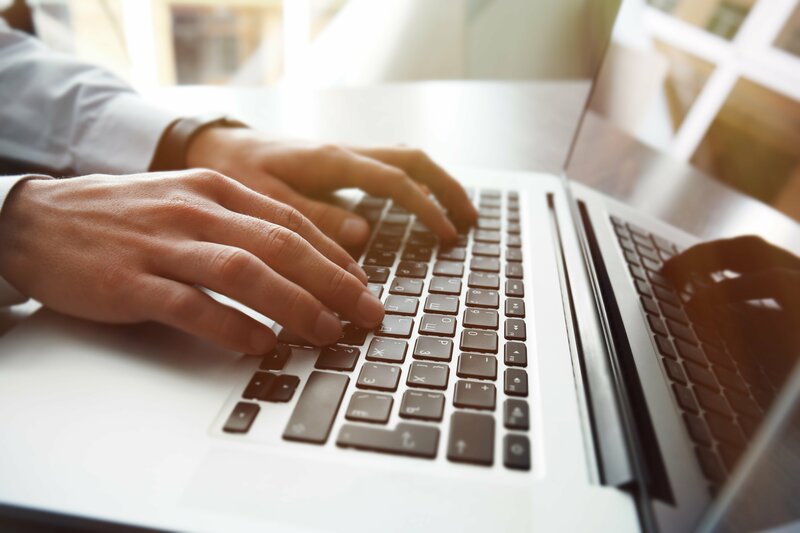 Remote invigilation (also known as online proctoring) means that a secure exam can be run from any location as long as there is an internet connection. This gives a great deal of flexibility to candidates, who can sit their exam at a time and place that suits them, rather than spend time and incur costs associated with taking time off and travelling to a test centre. Live remote invigilation happens in real-time. This means that for the duration of an exam, an invigilator watches the candidate using video, audio and remote screenshare. The session is recorded and can be reviewed at a later stage if required. Any infringements can be raised as they happen e.g. if the candidate keeps looking away from the screen, the candidate will be advised to stop this behaviour. If infringements are severe e.g. the candidate takes a phone call or someone else comes into the room, the exam may be immediately stopped. For organisations, the benefits of remote invigilation are numerous, such as a significantly reduced administration overhead, greater security and the ability to cater for candidates in any country worldwide. Exams can also be offered with greater frequency, so instead of one long test available once or twice a year, there may be multiple shorter tests run closer to the period of tuition. That brings us to another big change in the world of assessment, and that is the move away from using pen and paper as an exam delivery method. There is a huge administration burden with printing, transporting, marking and storing papers. There are security issues with the transportation of papers and managing who has access to them. There is a lack of real-time visibility and reporting. It is challenging to manage the paper flow – printing papers, collecting finished scripts, sending them to markers, storage etc. It is easier for errors to be made in data entry and reporting. There is a much longer lead time to results. People are much less used to writing nowadays, as everyone works on keyboards and screens – most professional candidates find it very difficult to write for hours. Writing with a pen requires a completely different approach to the way most people actually work. We are now used to jotting down initial thoughts and then editing them until we are happy with the final result. This kind of editing is not possible on paper, without lots of crossings out – you have to think about and plan what you are going to write, before putting pen to paper, which is a very different approach and can put candidates at a disadvantage. Very often working with pen and paper is not in line with how we actually carry out our work in a day-to-day environment. No accountant prepares a set of accounts on paper, it is all done via spreadsheets, so why should they be penalised during an exam by having to use a pen and paper. For organisations who are running exams on paper, it is possible to move to online delivery in phases, so it doesn’t have to be a “big bang”, high risk approach. For example, you may create and manage the question bank online, but print paper-based exam papers. The paper scripts can then be scanned and marked automatically or sent to relevant examiners where manual marking is required. On-screen marking has developed dramatically in recent years with a wide range of online options available – you can read more about on-screen marking options here. Another key trend has been the move towards the creation of a much more engaging and effective assessment. Organisations no longer have to use only simple, one-dimensional multiple choice and essay questions. With the move to online there is now a huge range of question types available, which help to make assessments much more immersive. Using a variety of question types gives greater insight into what people know and how they apply that knowledge in practice. Multi-media options allow the use of videos, photographs, audio playback, graphs, labelling, drag & drop and many others. Having a flat pen and paper test allows very little flexibility, it’s typically a one size fits all approach. Candidates can be offered some choices, such as answer 3 questions out of 5, or if you are taking the advanced paper, move on to section 5, but these choices are typically extremely limited. Moving to computer-based assessment enables testing to be much more adaptive to meet this specific needs of the individual. At its simplest level this could be branching logic, so if a candidate selects an option indicating that they have specialised in topic A, then they are asked questions about topic A; candidates selecting topic B are asked about topic B, etc. There are also more comprehensive levels of adaptive testing, where question sets are tailored based on how candidates have answered previous questions, or based on which questions they have answered incorrectly, etc. This can be of use in situations where perhaps a candidate is performing very poorly in questions on a particular area. In this case the candidate might be asked simpler questions on that area, or alternative questions about other areas to at least give them a chance to show the level of knowledge they have. Not surprisingly there is a significant trend to increase the levels of assessment automation and there are a number of ways that this is being done. Many organisations are moving to a “LOFT” Model, which stands for linear-on-the-fly testing. With this model organisations can set up question banks where each question can be associated with different tags – these tags might be learning outcomes, syllabus topics, difficulty rating or job roles, and then automatic picking rules can be defined for each exam paper. This means that randomised papers can be generated for each candidate. Each test uses different questions but they are an equivalent in terms of what they are assessing. The big positive is that papers are generated automatically, so once the exam bank has been set up, it is just a case of maintaining it, as opposed to having to continually generate new exam papers. The LOFT model also reduces the ability for candidates to attempt to collaborate on questions or share exam content online, as everyone is getting a different set of questions. Because many questions can be auto-scored, results can be issued very quickly with clear feedback on learning outcomes and areas for improvement. Another area where there are increasing levels of automation is systems integration. Typically there are integration points so that candidate details can automatically flow from a Learning Management System (LMS), a Customer Relationship Management (CRM) system or a HR system directly into the assessment solution. Candidates then get automatically enrolled in the correct exam. There may be various other integration points, such as to push results from the assessment system into a system of record after the exam. There are also a lot of advancements being made in the area of automated marking, where it’s now possible to auto-score a wide range of question types that can include text answers. At TestReach we have a wide range of customers from many different backgrounds. We work with educational institutes, professional bodies, governments, corporations – and one thing they all have in common is placing a huge emphasis on the quality of the candidate experience. It is essential that information and examinations are presented in a user-friendly way. Things like interactive canvasses are useful in this context, where case studies and questions can be presented together on-screen, with the option to make notes, highlight and annotate. There are also options for the candidate to configure the view in line with their own preferences. This type of innovation means that all the features you’d expect from a paper-based exam are readily and easily available in the online format. Other ways in which online assessment makes things more candidate-friendly are the speed in turnaround of results, and to make it easier to provide detailed feedback. Candidates do not want to just know their grade but also to understand areas in which they were strong and those areas where they may need to improve. This is becoming a very important area of focus for many organisations, as this kind of feedback to candidates provides a lot of benefits particularly for students who fail. Formative assessments are also becoming more flexible as assignments and continuous assessments can all be uploaded to the same online assessment platform. This means all a candidates’ data and results are securely stored in one location, whether formative or summative. So what’s the future for assessment? Assessments should be an integrated part of learning and development and demonstrate an individual’s ability to apply knowledge – rather than just a measure of knowledge at a given time. Using online exam software opens up a suite of useful tools to simplify creation, delivery and marking of a range of assessment types. The trends towards flexible delivery, engaging assessments, automation and a candidate-centric focus are helping organisations move to a model where assessments are far more effective, and where the candidate experience is both positive and engaging.